Andaman one week itinerary is the most sought after plan by travelers visiting these scenic islands. Located at the far end from the Indian mainland, the Andaman Islands are a sight to behold. This archipelago (a group of islands) beautifully sits on the eastern end of Bay of Bengal. The Andaman Islands will mesmerize you with their white sand beaches and magnificent coral reefs. No wonder, these islands have become one of India’s top travel destinations. Hence, framing a suitable Andaman one week itinerary is essential. The first question that pops up in the mind of most travelers visiting Andaman and Nicobar Islands is to create a decent itinerary. Also, the number of beaches that can be visited on their trip. Well, let me tell you that one complete week is an ideal time to unwind yourself in the tranquil beaches of this tropical paradise. I took a trip to Andaman Islands recently and can tell you without a doubt that you will end up spending almost every morning and evening on all days at different beaches. That is the beauty of visiting this archipelago. In my current blog, I will share my own Andaman one week itinerary with you. On my recent trip, I followed it and was able to explore the place well. I hope you benefit a great deal out of it. If you are wondering how to plan a trip to Andaman, I will try my best to guide you in preparing a good itinerary. What can possible be better than sharing my own Andaman one week itinerary with you! The following Andaman itinerary for 7 days was followed by me and I will recommend the same to you. This itinerary keeps in mind the balance between relaxation, adventure, sightseeing and fun. It is suitable for travelers across age groups. Watch the surreal natural phenomena of bioluminescence. You can even go for a night kayaking trip. Now that I have given you a rough idea about how your Andaman one week itinerary should look like, let me provide you with more details. This will help you get more clarity. Your seven day trip to Andaman Islands will begin at Port Blair. Located in South Andaman, Port Blair is the capital of Andaman and Nicobar Islands. All major carriers fly to Veer Savarkar International Airport, situated just outside the city. Landing in Port Blair will give you an adrenaline rush. After all, you will be looking at the emerald and turquoise waters of the isles. Majority of the flights arriving at Port Blair are post noon. So you can check in your hotel, freshen up and go for some local sightseeing. This prison has witnessed gruesome tortures on the Indian freedom fighters sent to exile. Spending an hour in these cells will make you retrospect on a lot of things. Once you are done seeing the Cellular Jail, head for the’Sound and Light Show’ therein. 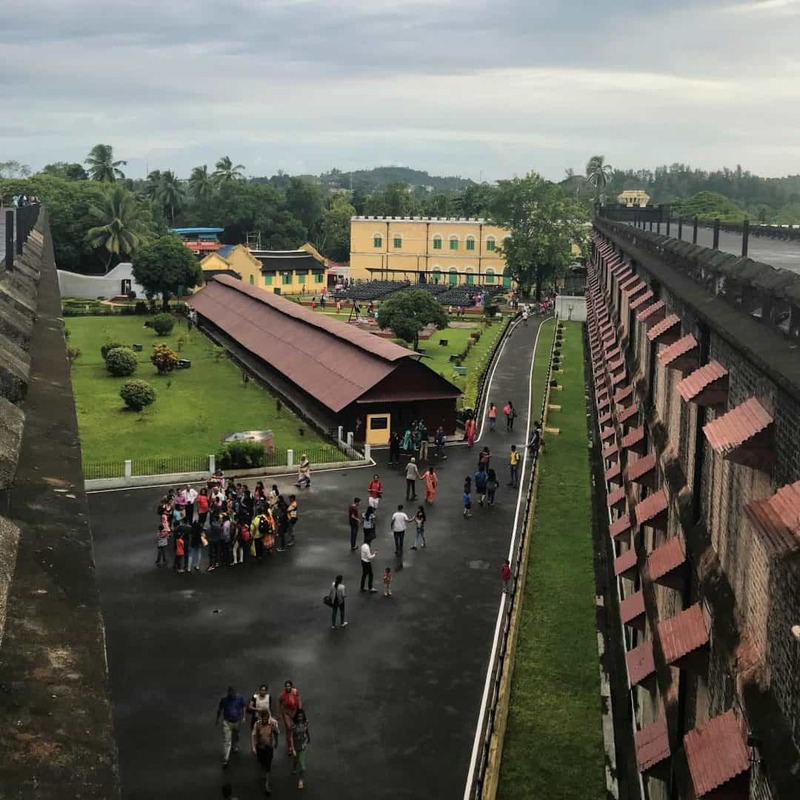 The Sound and Light Show at Cellular Jail reveals the tales of the injustice and inhuman punishments faced by prisoners. This one hour musical is sure to touch your heart and tear you up. Wake up early and depart for your morning ferry to Havelock island. This is the only way to travel till Havelock Island from Port Blair. The Phoenix Bay Jetty connects Port Blair and Havelock Island. You can opt for a government ferry that takes slightly longer but is way cheaper than privately owned catamarans. Havelock Island is home to some of the most impressive beaches in Andamans. One such beach is the Radhanagar Beach. It will stun you with a spectacular sunset view. Radhanagar Beach has been consistently rated as one of the best beaches in Asia. This will certainly be one your biggest highlights from the trip. Start your third day of Andaman one week itinerary with the most awaited of all adventure activities – Scuba diving. Scuba diving at Andaman is one of the most sought after experiences by travelers. 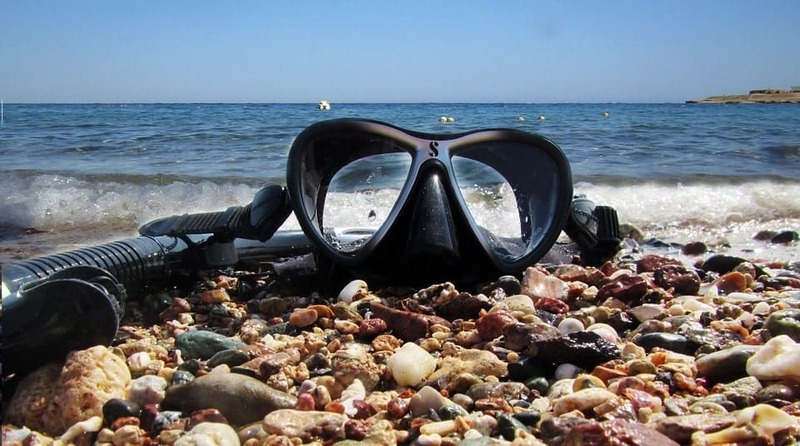 The diving establishments at Havelock are located at Govindnagar Beach No. 2. The instructors are PADI certified and diving here is safe without having anything to worry about. PADI stands for Professional Association of Diving Instructors. The entire process of getting trained and then going deeper into the blue waters to see the corals will take roughly about a couple of hours. Scuba diving is a must while at Havelock, especially if it is your first dive. Do not worry at all. The fact that you will pursue scuba diving for the first time is a thing that will make you proud later. Once you are done with scuba diving, spend the rest of the evening at Kalapathar Beach. This is a rocky beach with black stones. It is a quiet beach which sees less tourists and does not have any commercial set-up like food joints or shopping outlets around. 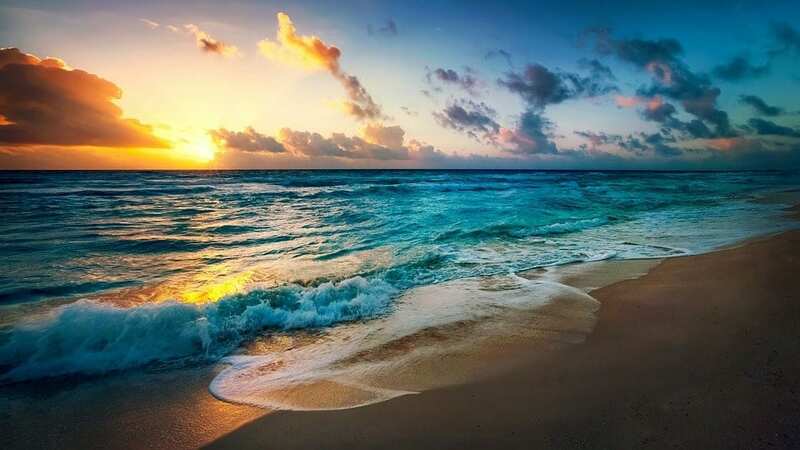 It is the perfect place to spend some time by yourself just looking at the rise and fall of ocean waves when the sun goes down. Head to the Elephant Beach in the morning for your next adventure. The conditions at the Elephant beach are favourable for snorkeling. Clear blue still water and corals near the shore will make for one heck of a snorkeling experience. The beach is accessible either by a 30-minute boat ride from the Havelock Jetty, or a one hour trek through the swampy marshes. Either way, it is an interesting excursion and worth the effort. If you’re not yet content with the number of beach visits, visit Govindnagar Beach No. 5. Govindnagar Beach No. 5 offers breath-taking views of the endless sea while you swim in the open waters. 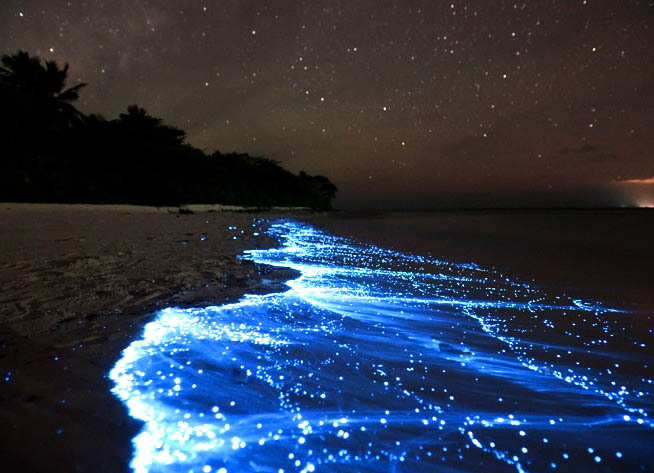 One thing that you absolutely cannot miss is observing the natural phenomena of bio-luminescence at Havelock Island. In fact, if you want, head for a night kayaking trip. It is truly magical. Bio-luminescence is a basically a phenomenon of production and emission of light by phytoplanktons. These microscopic algae give water a sparkling and glowing feel. The phenomena is best observed during a new moon night. But you can observe it at other times of the lunar month as well. At Havelock Island, you can pursue a night kayaking tour for observing bio-luminescence better. A female guide – Tanaz will help you through your trip. Not only will she motivate you but will inspire you with her vast knowledge about kayaking, planets, constellations and their effect on these organisms that produce light. Your trip will begin at 3 in the morning and end at sunrise around 6 am. Trust me, you will never forget this magical experience. Board the morning ferry from Havelock to Neil island. Neil is much smaller in size as compared to Havelock. However, it is well connected to both Port Blair and Havelock by ferry. The island is meant for relaxing and nothing else. It is a favourite among travelers wanting to beat the crowd. Spending a day at Neil Island to take a breather is the right way to spend some quality time. Bharatpur, Laxmanpur and Sitapur are the three beaches on the island. Each one of them has its own charm. Most of the resorts on the island are on the Bharatpur Beach with direct beach access and amazing snorkeling opportunities. 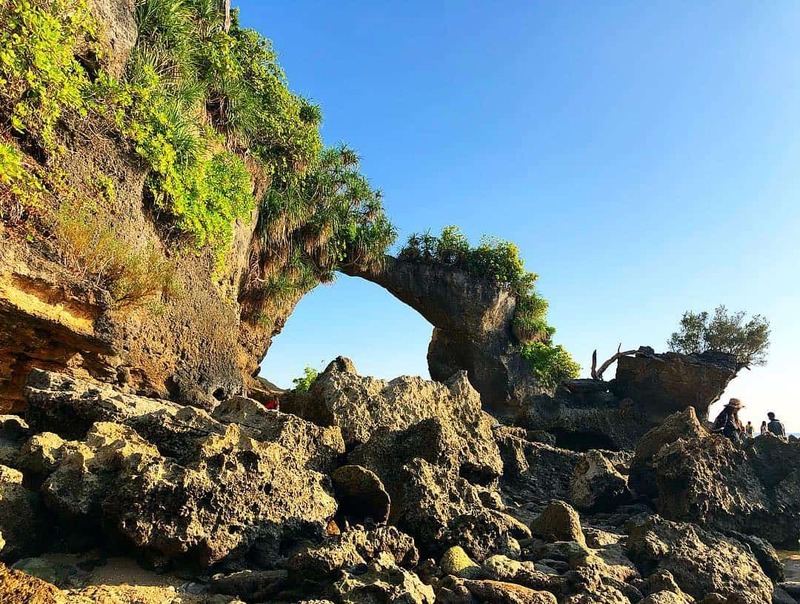 The highlight of the island is the Natural Coral Bridge at the Laxmanpur beach. The beach also offers a great sunset view. Neil island was also recently renamed, and is now known as Shaheed Dweep. 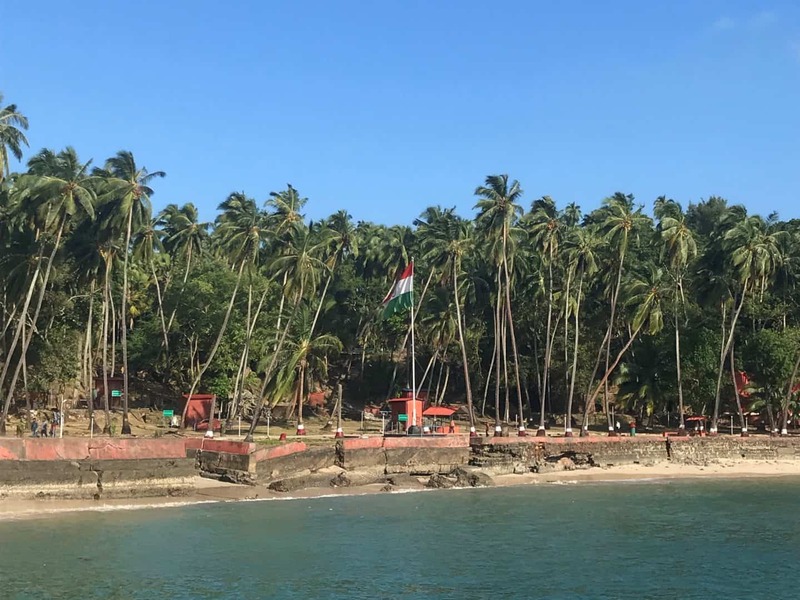 On day six, you should be heading back to Port Blair. A ferry will bring you back from Neil Island to Port Blair. 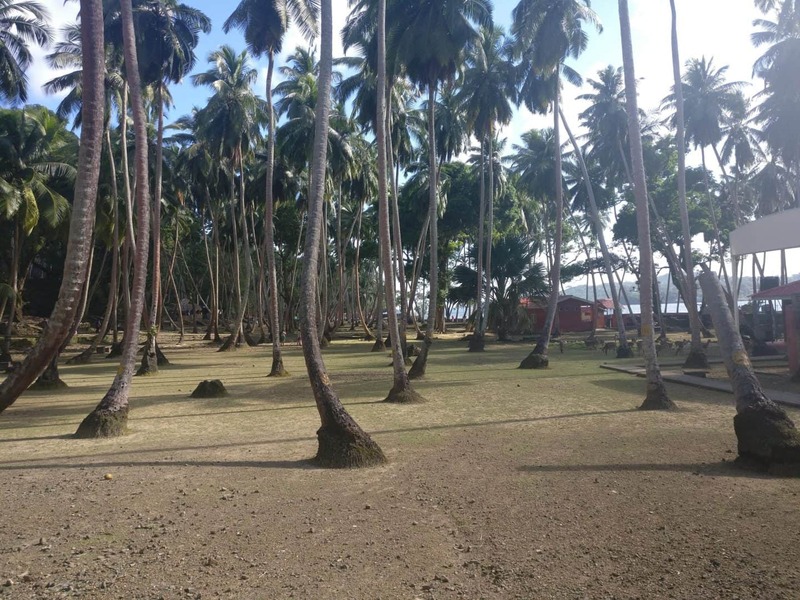 You can check-in to your hotel and then get ready to visit one of the earliest British administrative settlements – the Ross Island near Port Blair. Ross Island has been recently renamed to Netaji Subhash Chandra Bose Island. The island is tiny and located just off Port Blair. You can get to the island only by ferry from Port Blair. This will take less than 15 minutes in a ferry. The Ross island now hosts only ruins but was a palace during the British rule. They fondly called it the ‘Paris of the East’ owing to its natural charm and lavish vibe. The island has no vehicles and offers the best views with endless coconut and palm trees. Your flight back home will most likely depart from Port Blair in the afternoon. This means you still have a few hours left before you bid goodbye. Start your last day of the Andaman one week itinerary with a morning walk at the Corbyn’s Cove offering the best sunrise view at Port Blair. The beach at Corbyn’s Cove is a delight and you can afford to spend some time here soaking in the morning sun. The last of all the attractions should be Chatham Saw Mill. Make a quick visit there and to the Anthropological Museum before you head to the airport. The Chatham Saw Mill is one of the oldest and the largest saw and timber mills in Asia. The Anthropological museum is a tribute to the tribes of the Andaman Islands. Your Andaman one week trip will end here. I am sure that it will make you richer by exquisite experiences at an exotic destination. You might have heard a lot of people say that Andaman Islands are expensive. That is not entirely true. People who end up spending money over their pre-decided budget are either luxury travelers or ill informed visitors. If you are a luxury traveler, you can spend as much money as you desire. But if you are an explorer like me and want to travel around Andaman Islands on a budget, do your research. 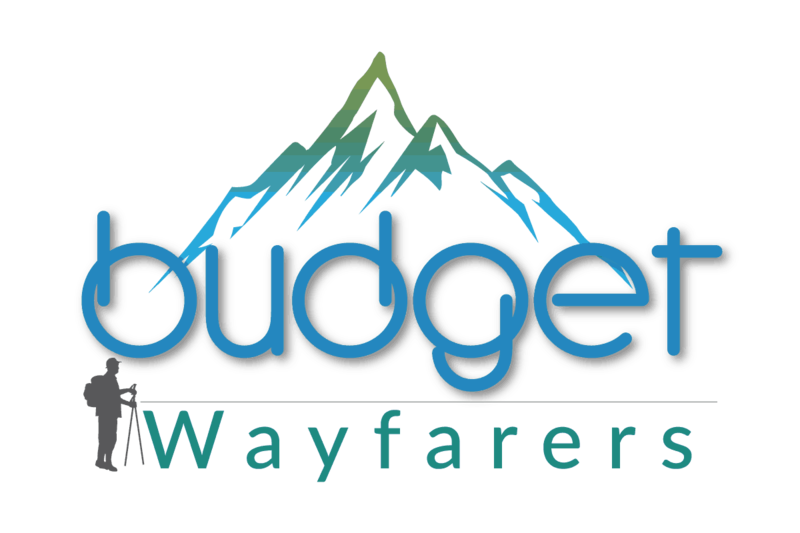 The budget largely depends on the choice of accommodation and the timing of your trip. If you are looking forward to a luxurious stay, you will certainly end up spending way more than the above set budget. 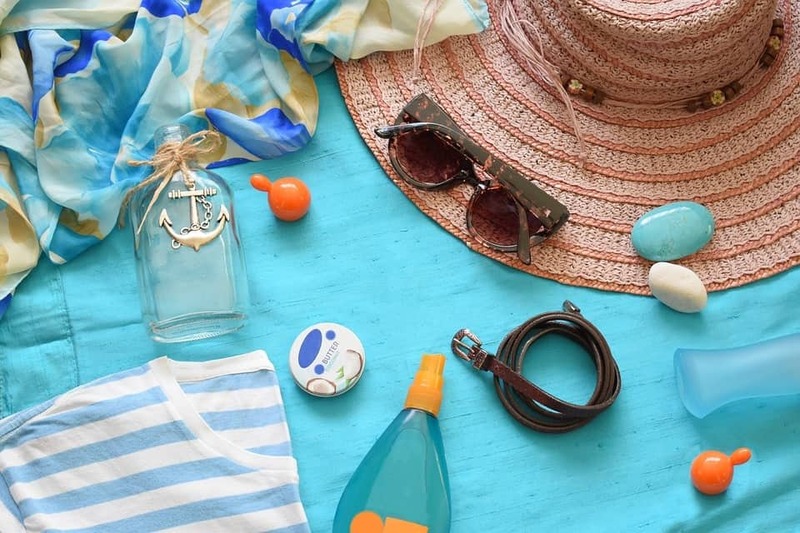 If you plan a trip during peak season, again you will spend much more. Therefore, travel to Andaman when the crowd is less. Hotels will cost you less and so will the flights. A flight to Port Blair from Chennai will cost lesser than the other Indian cities. If you book well in advance, one side flight to Port Blair will cost you around 4800 INR. Hotels can prove to be an expensive affair if you don’t dig in deep. I suggest you go for decent guest houses. A room there will cost you around 850 INR per night. Trust me, you will not find a cheaper accommodation than this in Andaman Islands. If you don’t get reservation at a guest house, then go for a hygienic but budget hotel. By making bookings in advance, you can save a lot of money. A budget hotel will cost you anywhere between 710 INR to 1000 INR during off season. Commuting via auto rickshaws will cost you not more than 1400 INR in total for a span of 7 days. This is the cheapest travel option for commuting from one island to another. It will cost you around 396 INR to travel from any one island to another at one time. Having decent meals three times a day will cost you not more than 2100 INR in total for 7 days. In case you want to go for drinks and buffets, those will prove to be expensive. In that case, your spending for 7 days will hike to above 4000 INR. The entry fee to local attractions including camera fee will cost you less than 500 INR. There is no fee to enter the beaches. So, you save a hell lot of money here. The expenses shared above are mandatory ones. You cannot skip them. However, you can surely indulge in resourceful planning. Now let me share with you expenses that are optional. These mainly include the adventure sports by the sea. Go for them if your heart desires. Most people go for scuba diving and snorkeling only. Most people try scuba diving at Havelock. It will cost you anywhere between 3800 INR to 4000 INR. At North Bay Island, scuba diving will cost you much lesser – 2000 INR. Snorkeling at Elephant Beach will cost you around 750 INR to 850 INR. At other locations in Port Blair it will cost much lesser – 500 INR. This is one of the cheapest sea sport. It will cost you less than 600 INR at most beaches. A banana boat ride will cost you anywhere between 300 to 600 INR. This will cost you around 1800 INR for a ride duration of 2 hours. This will cost you around 3500 INR for a duration of 40 minutes. Sea Walk at Andaman will cost you anywhere between 1000 to 12oo INR. At a few places, this comes with complimentary snorkeling. This depends completely on you. Personally, I just bought souvenirs from Port Blair. They costed around 300 INR. That is all. 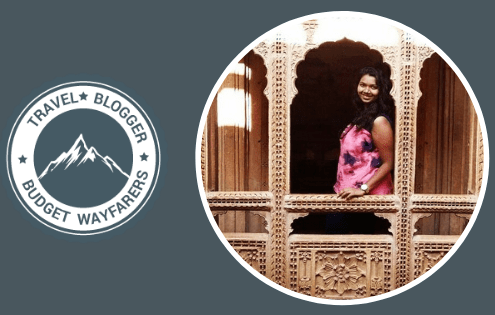 Now that I’ve shared my complete Andaman one week itinerary with you along with the budget, let me elaborate on the travel basics of this locale. Before planning your trip to Andaman Islands, you should be aware of all of these aspects. It will help you connect more with the place. Here is some important travel information about Andaman and Nicobar Islands. You should be aware of it to fully understand the region. Andaman and Nicobar Islands are a group of islands that lie in the Bay of Bengal region. The Andaman Islands and the Nicobar Islands are two distinct group of islands. They are separated by a 150 km wide channel. It is popularly known as the Ten Degree Channel. The Andaman Islands lie towards the to the north of the Ten Degree Channel. The Nicobar Islands lie towards to the south of the Ten Degree Channel. These islands are together separated from Myanmar, Thailand and Indonesia by the Andaman sea. Geographically, the islands are closer to these countries than India. However, they are politically a part of India. The Andaman and Nicobar Islands are a group of almost 572 islands. Out of this, only 37 islands have been inhabited. Together, they form an archipelago (a group of islands). If you are a traveler from within India then no permit is required. However, if you are a traveler from outside India, you will need a Restricted Area Permit (RAP) to enter the Islands. RAP is easily available on arrival at Port Blair. It will be valid for a maximum of 30 days. In case you need it extended, then either the SP or the FRO at Port Blair will have to issue you the permission for a maximum of 15 more days. RAP can also be obtained from the Indian Missions overseas. Also from the Foreigners Registration Offices at New Delhi, Mumbai, Chennai, Kolkata and from the Immigration Authorities at the Airport of New Delhi, Mumbai, Chennai and Kolkata. Your point of entry in Andaman Islands will be Port Blair. You can reach Port Blair by either air or sea. The cheapest way to travel to Andaman is to take a flight. Major Indian airlines fly to Port Blair daily from the following Indian cities– Chennai, Kolkata, Hyderabad, Bengaluru and Delhi. There are no direct flights to Port Blair from any other country. So you will have to be in India first and then travel to Andaman Islands. If you are interested in a cruising experience, you can opt to travel by ship from Chennai, Kolkata or Vishakhapatnam. It takes roughly around 3 to 4 days. However, sailing is seasonal activity. Andaman is a destination that you may visit the year round. Andaman and Nicobar Islands experience a warm tropical climate. It gets extremely humid at all times. Temperature averages at about 30 degrees Celsius round the year with erratic rainfall in most of the months. Most travelers prefer to implement their Andaman one week itinerary between January and February. However, you can travel during April to May as well. It will cost you less then. This is because during this time, the days are pleasant and the sun is not as harsh as it is during summer. Also, it does not rain as much in these months as it does in monsoon. So, there are lesser chances of high tidal waves and storms ruining your holiday. The Indian Rupee (INR) is the only valid and accepted currency on the Andaman Islands. There are currency exchange outlets at the airport as well as in Port Blair. ATMs are also operational in the city. It is best that you carry sufficient cash while travelling to Havelock and Neil Islands. For a seven day trip to Andaman and Nicobar Islands, you should not spend more than 20 to 25K (INR). This is about 363 USD or 324 EUR. Try saving on accommodation and flights by booking early. Remember that Andaman is not really a budget destination. But that does not mean you have to spend over the top. I made sure to stick to 25K INR and my trip went just fine. All you need to do is a little research and advance planning. Andaman and Nicobar Islands are safe as far as the crowd is concerned. You will face no mugging, eve teasing or harassment. However, in the recent past the Islands have been prone to tsunamis and earthquakes. Therefore, always check with the meteorological department before taking a trip here. Multi cuisine restaurants have opened up in all major Islands in the past. Plenty of vegetarian restaurants with great South Indian and North Indian food are available as well. Thus, there is absolutely no difficulty in finding a decent place to eat. 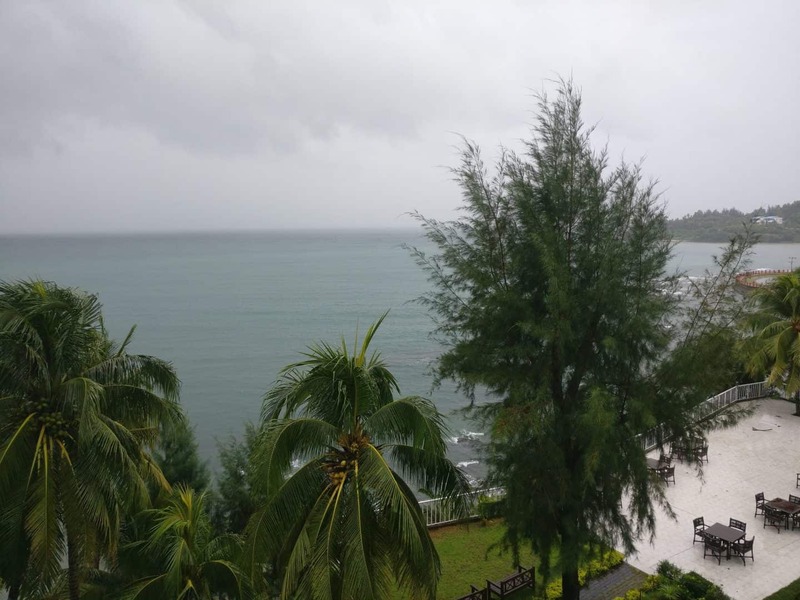 How to Find a Cheap Accommodation in Andaman ? Unlike other exotic destinations where you’d find all kinds of luxury hotels, Andaman Islands are more grounded. The number of fancy accommodation options are limited, and their prices are on the higher side. Now this is good because you can choose from a range of budget hotels. It is important that you chose your accommodation wisely. Invest some time online in looking for budget options. Then, book them as soon as you find them. Else, you will end up spending way more money than required. It needs to be pointed out here that when I use the term ‘budget hotel,’ I do not imply stinky stays. I mean the most resourceful options that offer you a decent experience without burning your wallet. Like I mentioned before, ideal thing to do on your trip is to stay at a budget hotel. There is no dearth of budget stays. All you need to do is find them and book them weeks in advance. Hotels in Port Blair will cost you less than those at Havelock and Neil Islands. In case you’re traveling as a group of friends, you can split the money. That way, it will cost you less. However, if you are a solo traveler, make sure to dig deep and find yourself a nominal hotel. If you end up spending more on your accommodation, you won’t be able to explore the beautiful locales. So I strongly suggest that you save on accommodation. Whenever somebody visits a new region, it is important to stay aware of some handy tips. I cannot begin to tell you how much these tips will help you. Most travelers visiting Andaman do not book ferries before hotels. However, it is important that you book ferry rides in advance. Else, your reservation at various islands in Andamans will be confirmed. But you will not be able to travel from one island to the other. For that you will need a ferry booking. It is the only way to commute between islands. Choose to hop from one island to another in government ferries over catamarans like Makruzz or Green Ocean. Government operated ferries are more reliable and cheaper. You must have your tickets for the ferries booked in advance as there is literally zero chance that you’d get them over the counter on the day of travel. There are plenty of auto rickshaws available on all of Andaman’s habitable islands. They are the cheapest mode of transport. Just wave your hand for the auto to stop. The rickshaw driver will take you to any attraction. Avoid hiring cabs. They are just not needed. Also, Ola and Uber do not operate in Andamans. As surprising as it may sound but avoid going for a package tour. Reason being, you will end up spending much more. Instead, plan your own trip and make your own bookings. Yes, it will take a longer time but will save you a lot of expenditure later. Also, you will understand the place much better. The overhead sun makes it difficult to be outdoors between 11 am to 4 pm. After all, it is a tropical island. Therefore, is critical that you apply a good SPF sun screen lotion every day. Do it at least thrice. Even if you are not going to be in the water at all times, still apply sunscreen before going out. The Andaman Islands are home to four tribes – the Great Andamanese, Onge, Jarawa, and Sentinelese. You are not to fraternize with them. In fact you are not supposed to make any contact with them. Government of India has strictly prohibited it. This has been done for the welfare of the tribals. Before taking up any adventure sports by the sea, always consult the life guards. Make sure that the tides are not rough and the weather is suitable. Being a tropical island, Andaman scorches up during the day. Therefore, drink plenty of water. Try drinking water in the morning before you head out. Also, drink water before you sleep. It will help you detox. Andaman and Nicobar Islands are a beautiful travel destination. If planned well in time, seven days can be fun filled in this tropical paradise. While in this serene place, make sure to act responsibly. Do not be a frivolous traveler. Be a respectful one. Make sure to pay reverence to the locale and its people. Once you spend a week in Andamans, you will surely carry a piece of it in your heart wherever you go. THIS POST ENTITLED, ‘SPENDING 7 DAYS IN ANDAMAN ISLANDS: THE COMPLETE ITINERARY AND TRAVEL GUIDE’ IS AN EXCLUSIVE PROPERTY OF BUDGET WAYFARERS. ANY INDIVIDUAL OR ASSOCIATION INDULGING IN PLAGIARISM WILL BE DEALT WITH STRICTLY. IF YOU WANT TO USE INFORMATION FROM THE ARTICLE ABOVE, KINDLY QUOTE THE SOURCE.